Touch Diamond (P3700), produced by HTC, may be the most beautiful smartphone running Windows Mobile 6 platform, because of its attractive and fantastic design. HTC Touch Diamond and other phones running Windows Mobile, like HTC S1, O2 Atom, Samsung i900, support various video formats such as 3GP, MPEG-4, WMV. And computer users nowadays are likely storing many video clips in their hard disk. However, because of the screen size and the video sources, they may need to convert the videos on computer before importing their clips to this beautiful mobile device. For this reason and if you are one of such users and want to play movies on HTC Touch Diamond, you need to convert the video first. Follow below steps to get playable videos for your phone. How to convert videos to 3GP, MPEG-4, WMV format for HTC Touch Diamond? Step 2: Choose output profile "HTC Touch Diamond Movie (*.wmv)" in the profile drop-down list and set frame size option to 480 x 640 pixels. The default settings is good enough. For better enjoying videos on HTC Touch Diamond, you can customize video and audio options, such as Video Codec, Video Bitrate, Audio Codec, Audio Bitrate, Audio Channel, Disable Audio, etc. Tip: Since HTC Touch Diamond also supports WMV, AVI, 3GP video formats, you can choose Customize MP4 Movie (*.mp4)" or Mobile Phone 3GP Movie (*.3gp) as output profile in Any Video Converter. Step 3: Click Convert button to start. Once the conversion is finished, you can click "Output Folder" button to get the output WMV files. Then connect your HTC Touch Diamond with computer, import output videos into it, and have fun! With this powerful Windows Mobile Video Converter, you can easily convert all HD videos including M2TS, MTS, TOD, HD MKV, HD H.264/MPEG-4 AVC, HD MPEG-2, TS, TP, M2T. Apart from converting HD videos, you are also allowed to convert SD videos including AVI, MP4, FLV, 3PG, 3G2, ASF, RMVB, etc. Moreover, you can extract audio from MTS videos and convert MTS to popular audio formats such as MP3, AAC, WMA, M4A, OGG, WAV. You are not allowed to play QuickTime video on HTC Touch Diamond, therefore, you need to get a windows mobile video converter which can convert mov files to mp4, wmv, or 3gp. Any Video Converter is the one that can help you convert QuickTime MOV to WMV, MOV to MPEG-4, and MOV to 3GPformat, especially convert QuickTime HD videos. It also supports extracting audio from QuickTime video files and convert QuickTime video to audio formats like MP3, WMA, AAC. 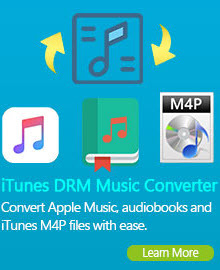 Any Video Converter not only supports converting videos for Windows mobile phones like HTC Touch Diamond, but also supports various other MP4 players or portable devices such as iPad, iPod, iPhone, Apple TV, PSP, PS3, BlackBerry, etc. To play DivX movie downloads on your HTC Touch Diamond, you need to download Any Video Converter. It is an excellent video conversion software program, which helps convert DivX video to WMV, 3GP, MP4 and other video formats. 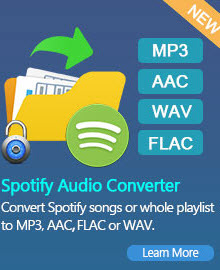 In addition, this Windows mobile video converter is also a audio converter to extract audio from video and convert audio formats between popular formats. Since HTC Touch Diamond recognizes very limited formats, so if you want to put and play MKV files on HTC, you need to convert the file. Luckily, there are a bunch of video converters for us that can do the job perfectly. One of these is Any Video Converter, which is the best Windows Mobile Video Converter that can convert MKV to WMV, MKV to 3GP, or MKV to MP4. Besides outstanding converting feature, this Windows mobile video converter is also featured with powerful video editing functions, such as merging multiple mkv files into one, trimming any segments as you like from a mkv video, cropping frame size to remove black bars from a mkv movie, personalizing your mkv video with special effects, select desired subtitle track from a mkv anime movie. We don't envy the HTC Touch Diamond. There's a lot of pressure on this little smartphone; HTC executive Cheng Hui-ming has called it "the most important product for HTC this year," and of course, the Touch Diamond has been compared to the Apple iPhone. Now, we're still a few months out from seeing the U.S. version of the Windows Mobile 6.1 smartphone, but we couldn't wait. Thanks to Dynamism, we were able to get our hands on an unlocked version of the Europe/Asia HTC Touch Diamond to try out. Now, to be clear up front, since this isn't optimized for use here in the States, we're not going to knock it for the lack of U.S. 3G support or the fact that's it tri-band.